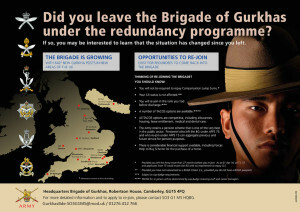 Did you leave the Brigade of Gurkhas under the redundancy programme? If so you may be interested to learn that the situation has changed since you left under the redundancy programme. Opportunities now exist to come back into the Brigade of Gurkhas.